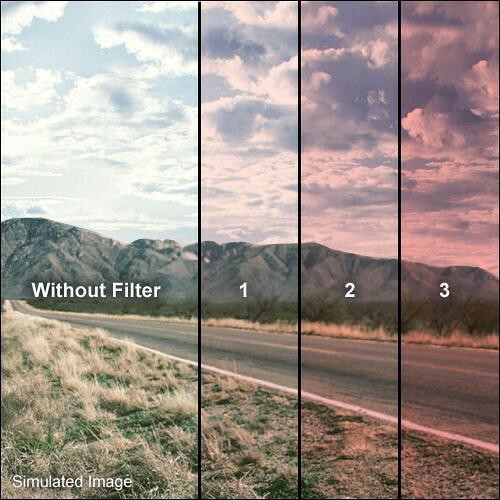 Formatt 3 x 3" Solid Tuscan Pink 3 Filters are one of the most widely used categories of filters. They enhance reality, adding a touch of subtlety or drama to the image. Solid Color Filters are designed to enhance natural light with subtle color wash or bold strong effect. Solid Tuscan Pink Filters produce a warmish, pale rose, reddish image. Formatt, a company with three generations of professional filter-making experience produces every filter to the highest technical standards. The finest materials, together with state of-the-art production technology have resulted in a standard of optical excellence unmatched anywhere else.